What does it mean to be a homemaker that brings glory to God from within her home? 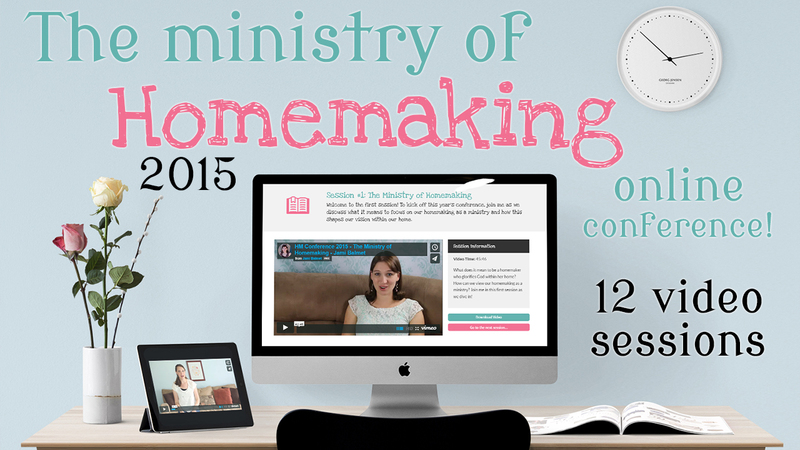 The second annual Homemaking Ministries Online Conference 2015 is designed to encourage you in Gospel-Centered Homemaking and promises to give you the tools you need to thrive in your home! Do you want to learn how to better balance it ALL? 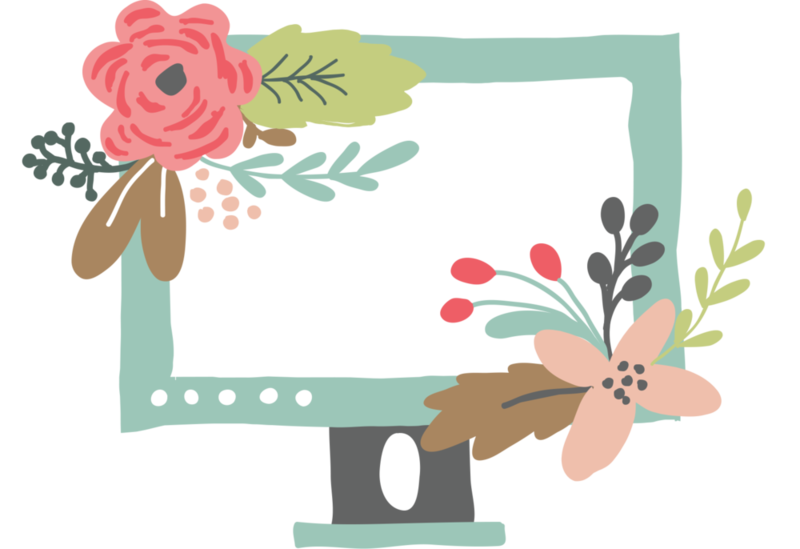 Register now to get complete access to the online homemaking conference as well as entrance into the private Facebook discussion group, exclusive conference notebook, bonus homemaking resources, and more! Watch the conference sessions at your own pace & when YOU have the time! 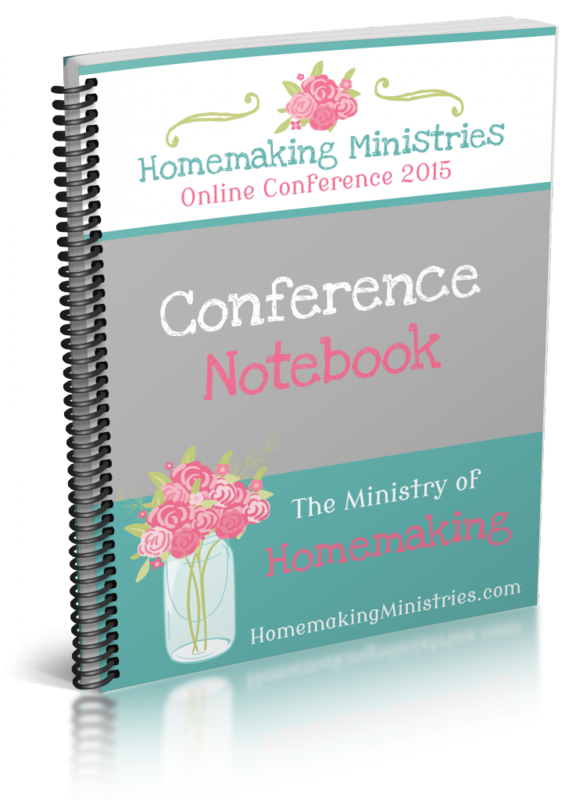 This conference is designed for busy homemakers! We know you might need to pause a session or come back to it later. When you purchase a ticket to the conference, you will have access to these video sessions forever to watch over and over. Do you need a little help in your homemaking? 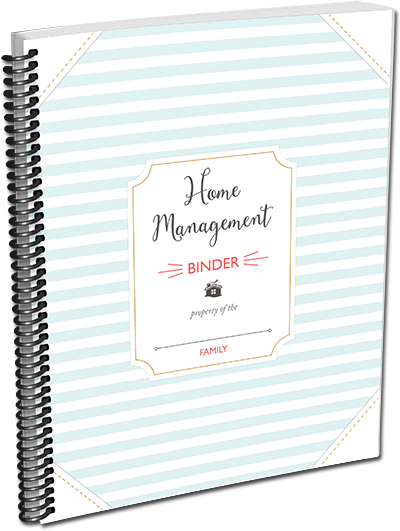 We had a designer build and design this beautiful home management binder! It’s everything that a busy homemaker needs to better manage her day. It’s ready to print off and start using right away! The conference sessions are pre-recorded for the best possible quality and created so that you can listen at your convenience! Listen to the sessions when YOU have the time, pause them, come back later, or skip around and listen however you want. Listen to them again and again - the conference sessions are yours to keep - forever! (You can listen on your laptop, smart phone, tablet, etc.) We've made it easy as possible for you to access. Not sure you have the time at watch through the conference? Check out this video for some creative ways that Jami has found to attend the conference during her busy day as a homemaker. We want you to get the most out of this conference, so we’ve created a conference notebook to go along with all the sessions! Inside you will find outlines for each sessions, resources, links, a place for session notes, and other goodies. You can save this PDF on your computer or print it out and have everything you need to start transforming your homemaking…TODAY! Get the encouragement that you so desperately need PLUS some amazing bonuses TODAY! Scroll back up to purchase! 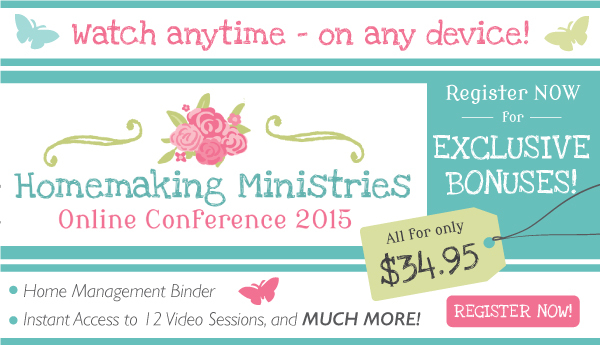 You can get full access to the 2015 Homemaking Ministries Online conference! 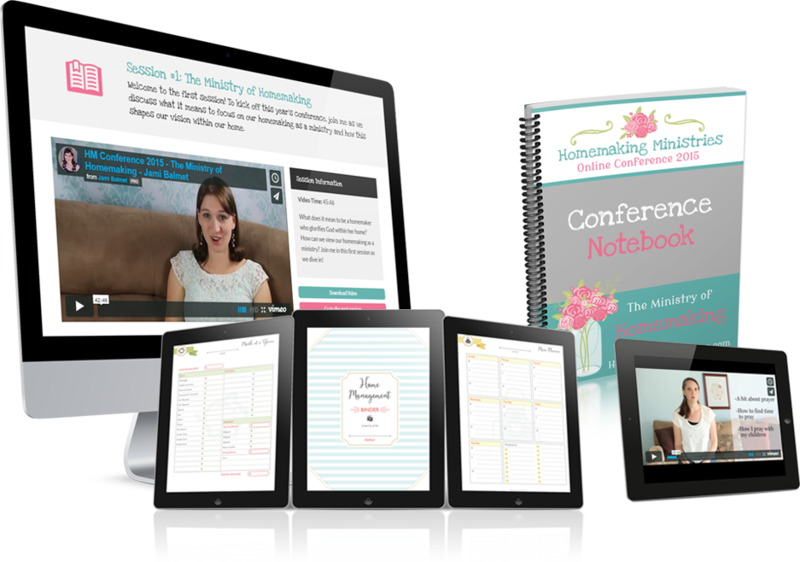 You will get access to all 12 video lessons on various aspects of homemaking as well as a printable conference notebook, beautifully designed home management binder, and other awesome bonuses!